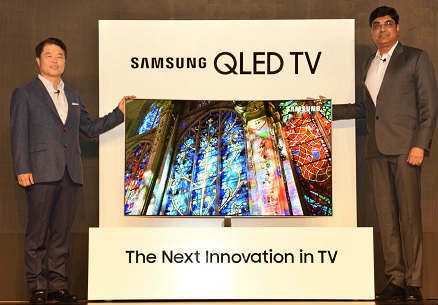 At an event in New Delhi, Samsung has launched its premium line-up of QLED TVs – Q9, Q8 and Q7. 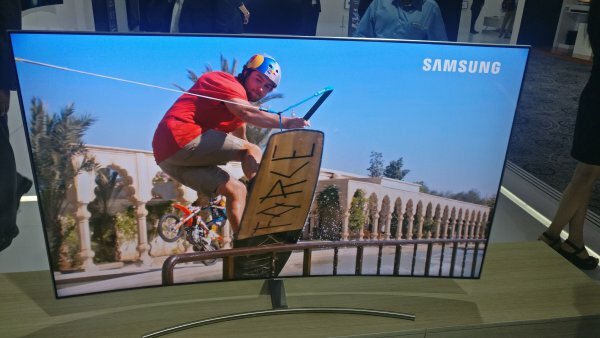 These state of the art and bezel-less TVs come in four sizes of 55-inch, 65-inch, 75-inch and 88-inch. These TVs boast of 4K UHD resolution of 3840 × 2160 pixels for delivering optimal brightness levels and stunning visual experience. These QLED TV use quantum dot technology for better light efficiency, stability and a wider colour spectrum. The metal alloy quantum dots addresses all major aspects of picture quality, including Colour Volume, brightness, bold contrast and viewing angle. The QLED TV delivers accurate colour and achieves a 100% Colour Volume. QLED TV’s advanced HDR 2000 functionality allows users to see every hidden detail as it was meant to be seen, with no loss or distortion of colour. In addition, QLED TV’s rich, deep black levels and bold contrast provide a consistent viewing experience regardless of a room’s lighting. To enable users to do away with multiple remotes, Samsung One Remote has been introduced and consumers can control most connected TV devices with just one remote control. The enhanced Samsung One Remote supports more devices and offers voice control capabilities across more Smart TV features. 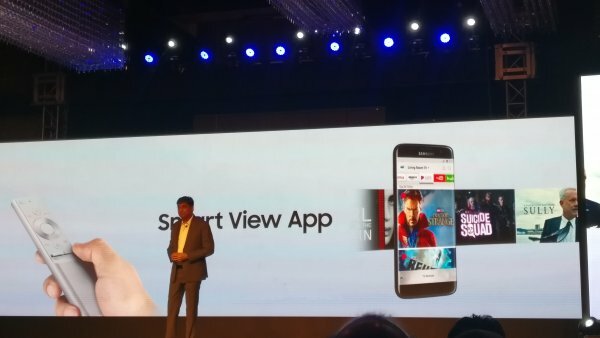 In addition, Samsung’s latest Smart View App for Android and iOS allows users to seamlessly share content from their smartphone to the TV. Samsung has designed these TVs artistically to give it a glam look. These TVs have invisible connection cable which helps manage unsightly cords and clutter with a refined, single cord system. Samsung has also introduced the No Gap Wall-mount, which brings the TV flush against the wall, closer than ever before. For those who do not wish to mount their TV onto the wall, there is also a range of Samsung TV stands. Consumers can use the stylish metal stand that accompanies the TV or buy the Studio Stand that is designed like an easel and is an ideal accompaniment for any artist-inspired living space. Samsung has also showcased The Frame TVs. 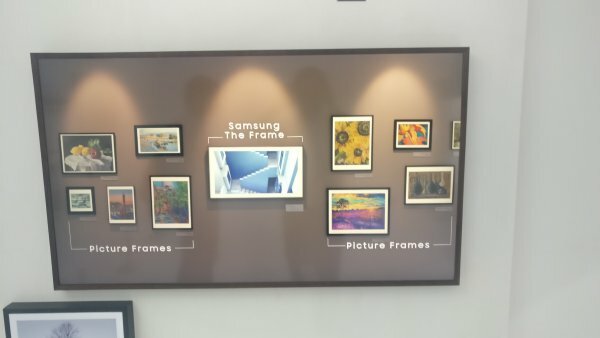 The Frame’s display transforms into a work of art, letting users select from a collection of more than 100 art pieces in 10 different categories, including landscape, architecture, wildlife, action, drawing and more. These TVs can be pre-booked between May 2 and May 21 on Samsung’s online shopping portal for delivery by the end of this month. Those who pre-orders will get a free Samsung Galaxy S8+ (Gold) smartphone which was launched in India few days ago.